Your employer premium rate is dependent upon whether you are a new employer or an experience-rated employer. 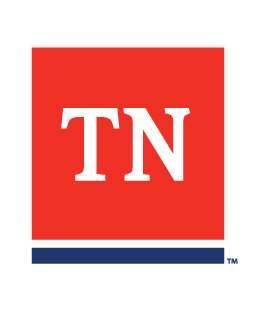 New employers in Tennessee are initially subject to a "new employer" rate until their account has been subject to premiums and chargeable with benefits for thirty-six consecutive months ending on the computation date (December 31, of each year). Beginning on the next July 1, they then become eligible for a premium rate based on their individual reserve experience. Starting July 1, 2004, new employer premium rates are based on the combined reserve experience of the North American Industry Classification System (NAICS) sector of which the employer is a part. Under NAICS, Manufacturing is split into three separate sectors. Sector 31 includes food, beverage, and tobacco products, as well as textiles, leather, and apparel products. Sector 32 includes the manufacturing of wood, paper, petroleum, coal, chemical, plastic and rubber products, as well as the commercial printing industry. Sector 33 includes metal products, machinery, computer and electronic products, electrical equipment, appliances, transportation equipment, and furniture manufacturing. NAICS-based new employer rates are shown on the table below. An experience-rated employer is an employer who has been liable to pay unemployment insurance premiums for 36 consecutive months ending on December 31. An experience-rated employer’s premium rate is determined by two factors: the employer’s reserve ratio and the level of the Unemployment Insurance Trust Fund. An employer’s reserve ratio is determined by taking the total premiums the employer has paid as of December 31 and subtracting from that all benefits charged against that employer as of December 31. The difference is then divided by the employer’s average payroll for the last three years. The resulting figure is the employer’s reserve ratio percent. An employer’s premium rate is the rate that corresponds with his reserve ratio on the effective Premium Table. The level of the Trust Fund determines which of six (6) Premium Tables will be used to determine an employer’s premium rate.